Updated for Cataclysm 4.3 and Mists of Pandaria Beta. Enhancement is an explosive burst melee style with a combination of melee and ranged attacks to blow down enemies. Enhancement, while effective, is not the easiest or most recommended build for higher levels of Arena play, but is quite capable of demolishing the opposition in the Battlegrounds. Elemental Shamans are Caster DPS and play as you would imagine – destroying enemies from afar with a bevy of shocks and lightning bolts. They have the ability to cast lightning bolt on the run, which can help when facing melee pressure, and have more than a few ways of slowing down or stopping pursuers such as with Earthbind Totem or escaping with Ghost Wolf. 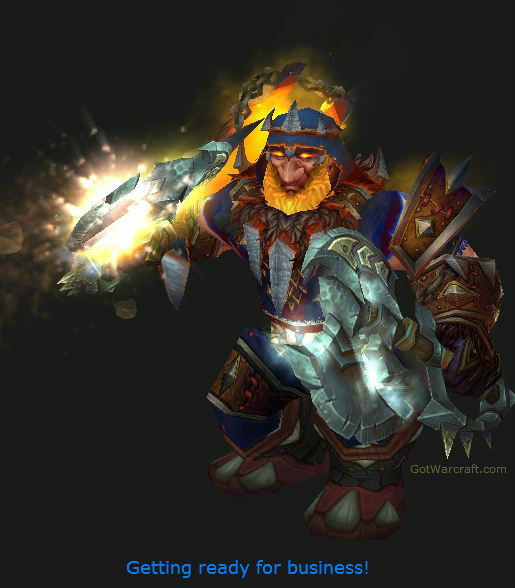 The Restoration Shaman is immensely useful as a PvP healer due to its mastery focused on delivering immense heals to targets low on health, something that can easily take a player about to die all the way to maximum health in a spell or two. A Restoration Shaman also has access to a number of group heals for use in larger fights when no one target takes immediate healing precedence. Blood Fury is a melee/spell burst that nice for any flavor of Shaman. It last for 15 seconds and adds to attack and spell power. Use it in a macro with your opening abilities or save it for those moments when you really want it. Stun effects are reduced by 15%, which is about 1 second off of a 6 second stun. Enhancement might appreciate the expertise with axes and fist weapons. War Stomp is great for Enhancement, but Resto and Elem will find use in something that stuns those pesky melee types. Increased health doesn’t scale well at high levels, but every little bit helps. Good with Herbalism – this skill provides a small heal in addition to a Haste effect. Berserking increases attack and spell-casting speed for 10 seconds, once every 3 minutes. Regeneration is small enough that you will probably never notice it, but over long fights it will be nice to have. Your own heals and the potions on your action bar will far outshadow it, though. Da Voodoo Shuffle reduced movement impairing effects, which works out to about 1 second off a six second root. Rocket jump is a nice ability. Enhancement can leap into combat, the other specs can leap out of melee combat. 1% increase to Haste is useful for all specs. Good with Alchemy. Better living through Chemistry. Stoneform removes all poison, disease and bleed effects and reduces all damage taken by 10% for 8 sec. Given all the Rogues, Ferals, and DKs around this is a pretty solid ability. Expertise with Maces might be nice for Enhancement. Their heal may seem redundant, but every little bit helps at times. +1% Chance to hit is nice for all specs, especially Enhancement. Good with Jewelcrafting, the better to get into those awesome gems. May choose to join either Horde or Alliance when leaving the starting area. Can stun enemies with a touch of their hand. If you’re leveling your rested XP will last longer. Better living through eating. Food buffs last longer.